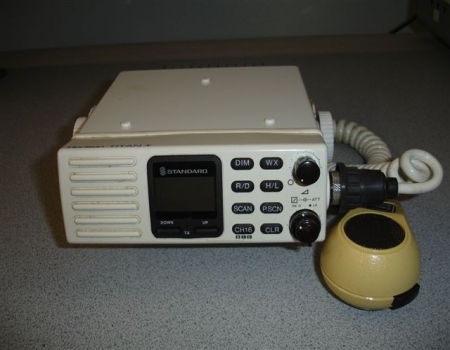 Standard Horizon Titan Plus model GX2320S Marine 25 watt transceiver. This VHF FM marine radio sports a ton of features which include a water resistant case, weather and channel scan, illuminated dimmer lighting, an emergency channel 16 button for quick recall, local and distant squelch, fused power cord and a external speaker jack. 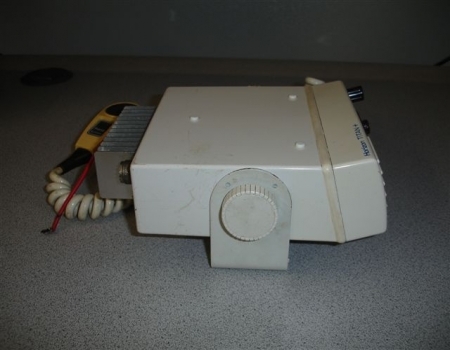 This transceiver has a removable microphone that has an RF power output selector and memory channel button selector on it. 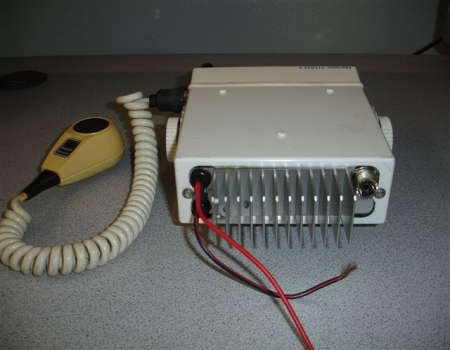 Another useful feature is that since all radios consume more power when they are in the transmit mode, and running out of battery juice on the high seas is not a pleasant thing, this radio has a transmit light that illuminates when transmitting. This helps to eliminate any accidental extended key down periods. 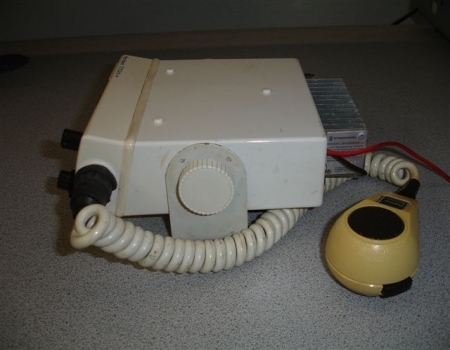 These next two photographs show the left and right sides of this marine transceiver. Notice how the Florida sun has aged or colored the hand microphone. A special thanks goes to Mike Koehler(AI4JD) for this transceiver.